Benoit's Design Co.: Coastal Wall Décor - 8" x 10"
Products made to order. Please allow for a lead time of 21 days before your order ships. 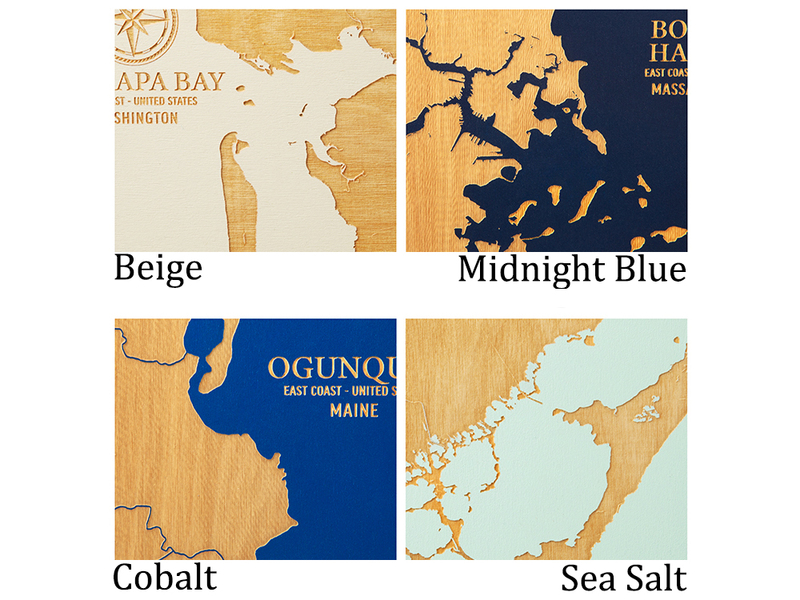 This coastal wall decor handcrafted in Maine with birch wood features a rendering of a coastal spot from around the country. Pick from over 100 areas from coast to coast. Laser engraving captures all the intricacies of a location in beautiful detail. The finished result is a ready to hang, perfectly presentable gift for anyone with a special connection to a place on the coast. Dimensions: 8" x 10" x 1.63"
Nice but didn't quite meet expectations. I received the map of Cape Coral and was very disappointed. The attraction was all the canals in the cape that make the design look great. Unfortunately the background color I selected does not show up and so it looks like a square piece of wood. A.H. Benoit & Co. was a staple for Maine communities back in the day and Greg wants his Benoit's Design Co. to make the same impact. So in a renovated mill building along the Presumpscot River in Westbrook, Maine, Greg and his team make beautiful artwork depicting coastal locations—pretty much any one—from around the country. The designs are laser engraved into painted birch wood. The laser captures all the tiny details to give a clear representation of a specific coastal area—including ones in Maine, of course. The result is a beautiful piece of art that looks fantastic and has meaning, which we think makes it a perfect gift for any seaside lover.